Nice lighting for this tower shot. 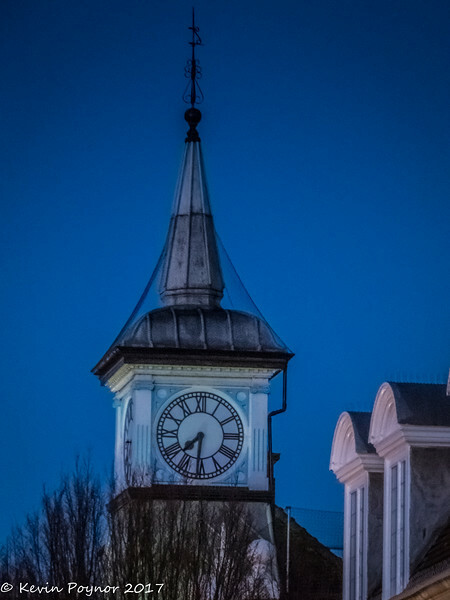 Wonderful color and light in this image of the clock tower. 7:30 Blue Hour ? Nice historical tower against that beautiful background.